The UK's museums offer world-class learning experiences for children and families and our parent reviews highlight some of the best. 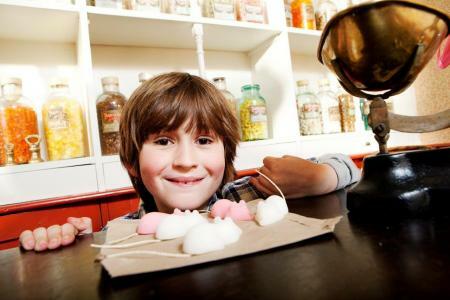 At York Castle Museum your family can travel back in time to the sights, sounds and smells of Victorian England (remember to buy a pink sugar mouse to munch on as you explore!). 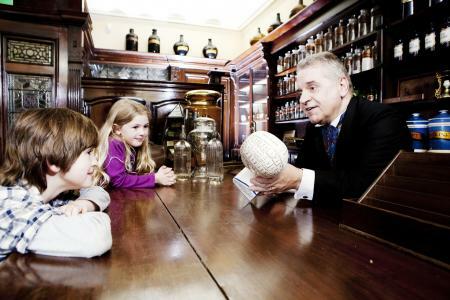 Visit a recreated Victorian street, see toys from the past and experience life in a historic prison, all within the walls of York Castle Museum. Elena Dalrymple visited with Kate, 10, Tom, 7, and Emily, 3. Forget dusty exhibits and locked display cases − getting hands-on with history is what this brilliant museum is all about. The Victorian street, Kirkgate, is what your children will still be talking about days later, but don't forget to visit the other half of the museum (cross the cafe and gift shop to access it) to see the Sixties exhibit, the York Castle Prison and any temporary exhibitions (a major new First World War exhibition will open on June 28). Borrow a laminated Under-5s counting trail from the Admissions desk to get your child examining the period rooms with great attention; they'll love the sights and sounds of Kirkgate, too, especially the horses' hooves on the cobbles and "night-time" when the lights dim and the street lamps are lit (there's a spot of thunder and lightning to watch out for, too!). In term-time Early Years Explorers sessions (aimed at 2 to 5 year olds) are free and take place every Thursday and Saturday, though you'll need to book a place. Pushchairs can't be used in the museum due to fire regulations, but you can borrow a backpack to carry younger children. Exploring Kirkgate by looking in the shop front windows (there's a milliner, a tobacconist, a pawnbroker, a cocoa house) and exploring the poverty-stricken back streets. Some of the shops are open for business − the pharmacist's shelves are stocked with beautiful period bottles, packets and preparations and the candle maker's workshop is packed with candles in every stage of preparation. Make sure you pick up a slate from the baskets on the floor in the street or in Kirkgate Board School to follow a day in the life of a Victorian character, finding objects from their world in the street. In the school classroom picture life as a 1890s school child by peeping inside a desk to see an original exercise book and letter, trying out an abacus and learning some lessons from the First Reading Book. Find the black sheep of the family in the York Castle Prison records (you can also check the online database from home; look for Family History on the Prison website) − thousands of prisoners passed through between 1705 and 1900 and my children were delighted to find a Dalrymple who was convicted of robbing a money safe and stealing 2000 guineas. 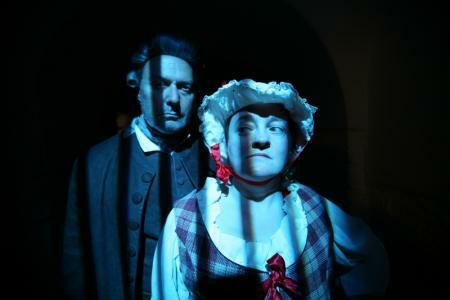 Sit in the authentic (and very atmospheric) cells and watch famous prisoners tell you their stories of harsh conditions and crooked justice, or hear petitions from debtors and find out more about daily life in the prison. You could easily spend an hour immersing yourself in the lives of the unfortunate inmates; the whole exhibit is staged beautifully and the gruesome details are sure to appeal to Horrible Histories fans. Interacting with the friendly and knowledgeable "shopkeepers" in Kirkgate. My daughter had a long discussion with the Victorian pharmacist about leeches' medicinal uses, laudanum and arsenic-laced peppermint creams, as well as looking at parasols in a shop window with an on-site lace-maker and finding out about Victorian sweets in the confectionery shop. Competitions, special playtime sessions and hands-on fun; during our visit the kids sampled different-flavoured Lego bricks in the museum kitchen and tried on a replica knight's helmet. Apparently real leeches are the star attraction in the Victorian pharmacy at Christmas, so do ask if they're in stock during your visit! The on-site Castle Cafe offers drinks, snacks and meals. There is no indoor picnic area in the museum, but you can picnic outside in front of the museum entrance. York Castle Museum is opposite Clifford's Tower in the Castle Area, with parking close by. Open daily, 9.30am-5pm (10am on Fridays in term time). Closed 25 December and 1 January. Admission: Adult £8.50, children under 16 free (if you're planning to vist more than one York attraction it's worth investigating the savings offered by a York Pass or considering a £10 joint ticket for York Castle Museum and the Yorkshire Museum). Tickets are valid for 12 months and you can return as often as you like. The Castle Challenger activity guidebook (for children aged 6+, £2.50 from the Admissions desk) works like a game and you score points as you tour the museum, playing on your own or against family or friends. The best place to spend your pocket money, though, is in the period shops in Kirkgate − buy a sugar or chocolate mouse for 80p, a thaumatrope (a popular Victorian toy) for £1 or carbolic soap and a nail brush for £2. Download free downloadable trails and teachers' packs for KS1 (homes, toys and electricity) and KS2 (Victorian life, Sixties life and maths challenges). If your child is studying the history of toys (a KS1 topic), look through the Toys from the past information from York Castle Museum on the My Learning website.